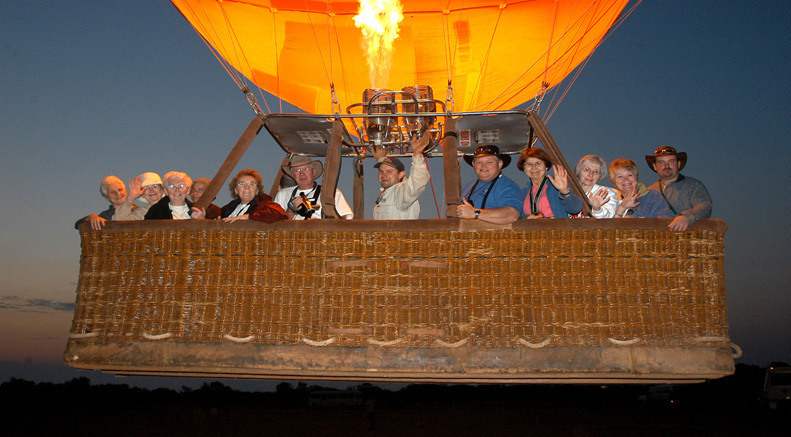 Experience the breathtaking feeling of floating silently above the Outback as the sun slowly rises over the desert on this awe-inspiring ballooning adventure. Journey to the launch site in the cool pre dawn darkness, and begin your ascent just as the morning light begins to illuminate the rugged McDonnell Ranges. 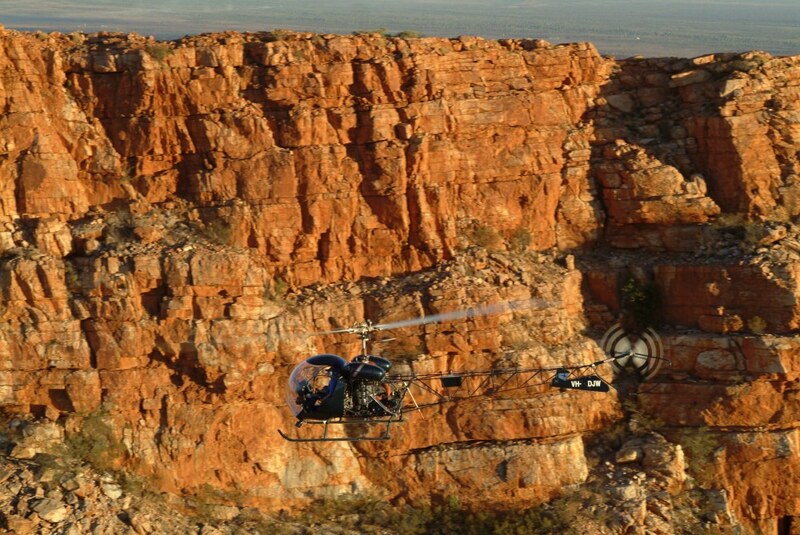 Float gently across the vast expanse of the Australian Outback – keeping an eye out for native wildlife including the iconic red kangaroo – and gain an appreciation of the remoteness of the area as you glide across the landscape. After landing you may become involved in assisting the crew or taking photographs as we pack the nylon balloon back into its bag. At the balloon landing site you will be offered champagne and tropical fruit juice accompanied by a selection of muffins, slices and biscuits, cheese and fresh fruit. 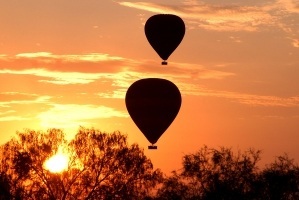 A range of Outback Ballooning souvenirs is also available. Prices do not include mandatory Civil Aviation Safety Authority Insurance. The insurance charge is 30 AUD per person. An aerial tour is the only way to fully appreciate the scale and grandeur of this spectacular region and provides fantastic photo opportunities. This sensational flight takes you west over Honeymoon Gap, then on wave at hikers on the top of Mt Gillen. 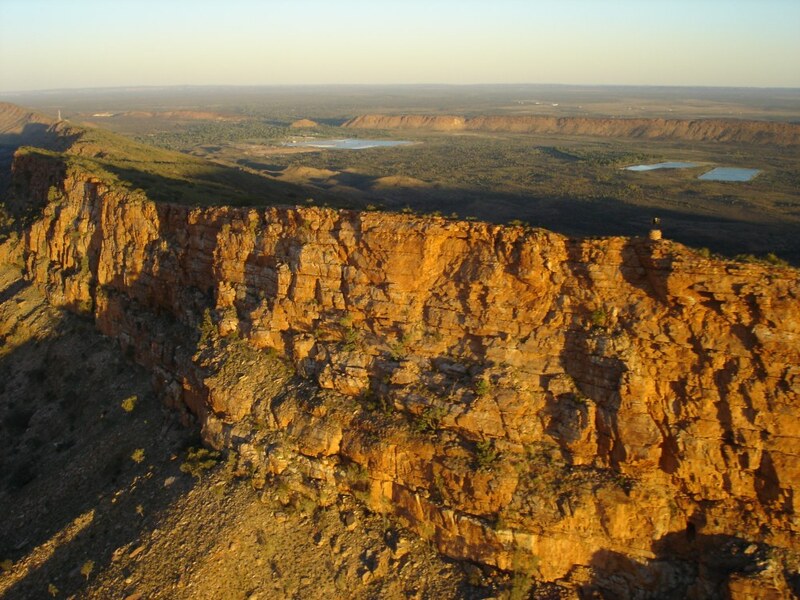 Follow the ridgeline to Heavitree Gap with view over The Alice, Todd River and desert beyond. Chilled bubbly, a desert sunset and you... Fly to Honeymoon Gap, along Mt Gillen ridgeline to Heavitree Gap, providing extensive views of Alice Springs as the sun sets over the desert ranges. Enjoy a glass of bubbles on your return to watch what is left of the sunset. The perfect end to a perfect day! 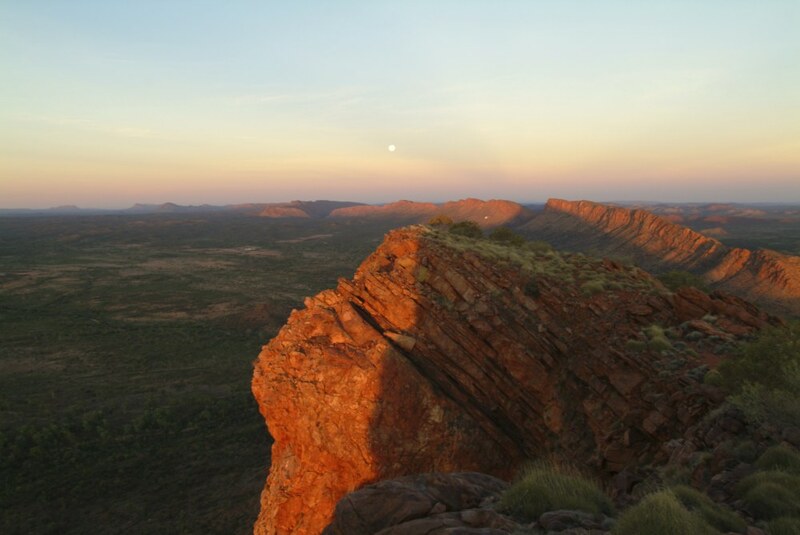 Today you will experience the magnificent grandeur of the West MacDonnell Ranges. 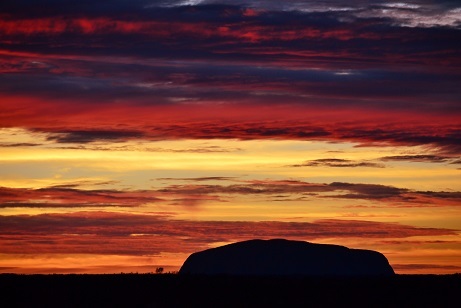 Marvel at towering fiery red walls set aglow by the desert sun as you drive along the ranges. We tour through these amazing ranges all day and stop at beautiful gorges and waterholes, where we can enjoy a refreshing swim in the warmer months. You will be collected from your Alice Springs Accommodation in the morning. Spectacular outback scenery and photo opportunites as we travel along the magnificent MacDonnell Ranges, stopping at historic sites. Enjoy beautiful walks at Simpsons Gap, Standley Chasm (for morning tea), the Ochre Pits and Ormiston Gorge for lunch. Out next stop is at Glen Helen, then on our way back to Alice Springs we stop for afternoon time at Ellery Creek Big Hole. This waterhole isone of Central Australia's most pristine, so don't forget your swimmers in warmer months! The panoramic landscapes of the West MacDonnell Ranges are extraordinary for their immensity and the spectacular array of sunburnt oranges, maroons and purples on displayin brilliant oranges and reds at sunset on the return trip to Alice Springs. Today you’re going to enjoy an outback safari-style adventure. Travelling in our custom designed 4WD vehicle, you’ll reach off-road destinations that are otherwise difficult to access. Through the Central Australian landscape we’ll take you down the very edge of Finke River and into the amazing Palm Valley. We collect you from outside your Alice Springs accommodation at approximately 6am and head to our first stop at Erldunda (home of the Emu) for a light breakfast. 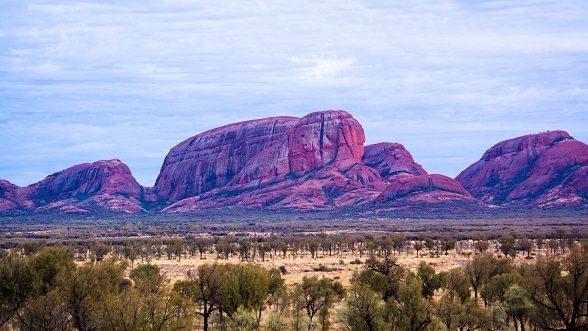 We arrive at Yulara at approximately 11:45am, and after a quick stop we provide you with a freshly made packed lunch to eat on the drive to the World Heritage listed Uluru-Kata Tjuta National Park. Departs: Mon,Wed,Fri,Sat only at 6am Approx.